So, baby number two is a girl due in August, so one rainy day I was able to cut out, sew and make the quilt sandwich in one afternoon. 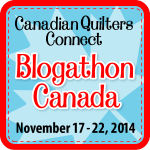 I don't think I've ever done that, but it was a sweetly simple pattern that I found on a free site for charity quilts. I had to find a pattern that only used three fabrics. With the Canadian dollar so low I find it too expensive to shop on line so I went to a store about half an hour from my home that specializes in 1-metre cuts. I like that everything is arranged by colour so you can spend time roaming around looking for fabrics that go together. The fabrics are never the newest, most popular lines, but they are all good quality and run about two-thirds the price of fabric elsewhere. It was easy to find three boy fabrics in bold, happy colours. I'll look forward to making baby quilt 3 with such fun fabrics. I often find "girl" fabrics insipid, but once I saw the Volkswagon and bicycle fabric I knew I had to have it! Unfortunately I couldn't get a picture that was true to colour outside--this was the best I could do. Once again I went with simple straight line quilting. I found the backing fabric at the same place. I know it's a Heather Ross print, but have no idea what line. It's so pretty that I hated to use it, but hoarding is not an option! For the binding I went with an orange that went with the vehicles. This was fun, mindless sewing at its best that will make someone very happy. It also made me happy while I was making it! Wow you are really seeing up a storm! Love this quilt! The bikes are too cute! You inspire me, oh and it is needed. The Volkswagons are adorable and I love the lime green fabric with the orange. And I do have to agree -- the backing fabric is much too pretty to part with. Beautiful quilt! A beautiful pair of baby quilts! They are so colorful and beautifully done! Congratulations to the new parents and to you for such great work! I see you are a simple gal too. Like the idea of charms with a layer cake too. 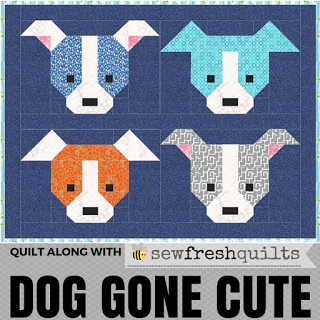 Both of these are adorable finishes that will be perfect quilty hugs! Too cute! Baby #2 will be warm and properly cuddled!